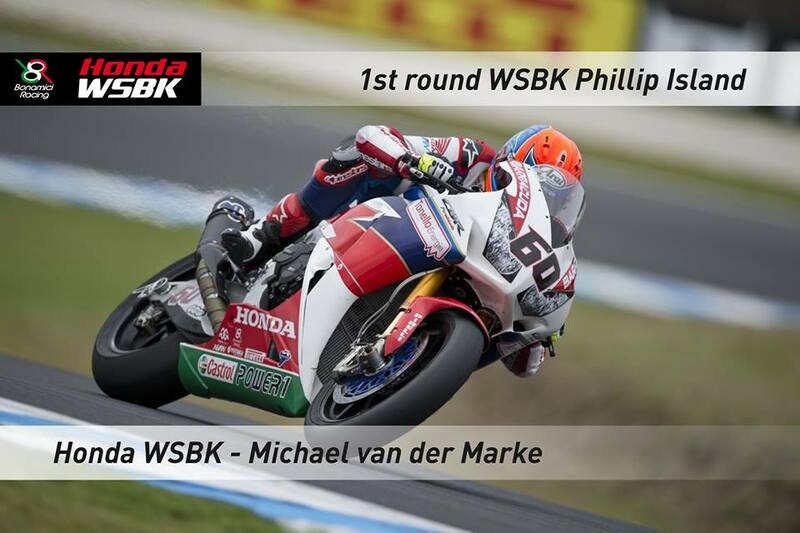 The Honda WorldSBK Team leaves Phillip Island on a high note as Michael van der Mark delighted the Australian crowd today with a second place finish at Phillip Island in race two – his career best result so far in the series. 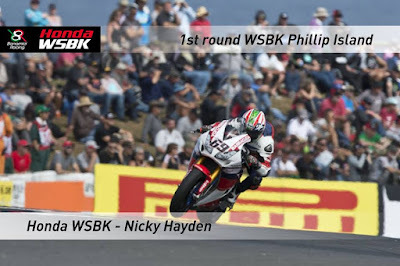 Nicky Hayden missed out on a podium finish on the last lap after a solid race at the front, making good progress aboard his Honda CBR1000RR Fireblade SP in what was his debut World Superbike round. Both riders had another great start to the race and placed themselves near the front of the field in the opening laps. Van der Mark showed once again a great pace as he comfortably followed both factory Kawasaki riders around the 4.455km fast and flowing Australian venue. 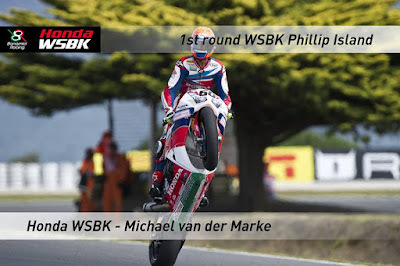 After moving up to second place, the 23-year-old Dutchman made a successful overtake for the lead on lap 12, which he kept for another six laps. 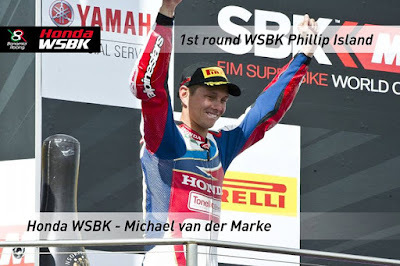 In the final stages of the race, van der Mark did not lose touch with the leading duo and, as Davies crashed out at Honda corner while trying to take the lead, he moved up one place and retained the position at the chequered flag. With one race under his belt and some adjustments made to his Fireblade machine settings after the warm up, Nicky Hayden was able to ride a more consistent race and, unlike yesterday, he stayed with the front pack for almost the whole length of the encounter. 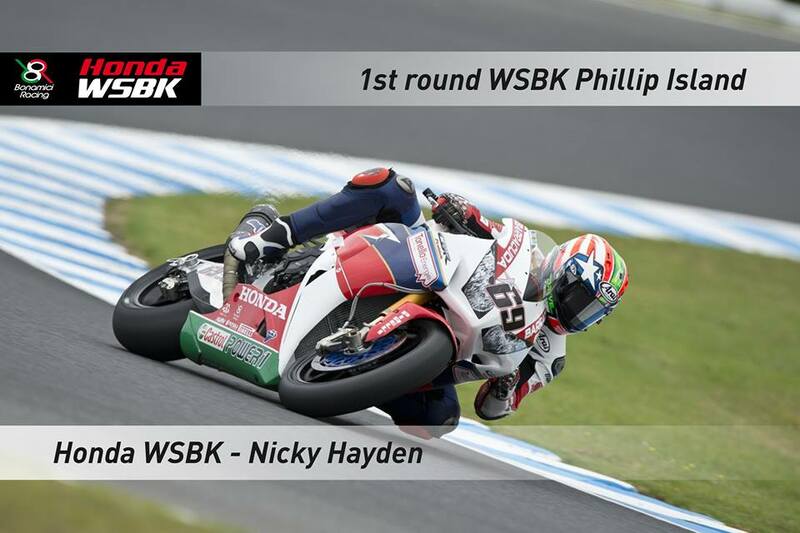 He entered the final lap in third place and did all he could to defend his position, but eventually he was overtaken by Davide Giugliano at Lukey Heights and had to settle for fourth. As the first round draws to a close, Michael van der Mark lies second in the championship standings with 36 points, while Nicky Hayden is seventh – 16 points behind his team mate.